On this day in 1987, U2 released their fifth studio album, and probably the highpoint of their career, The Joshua Tree. At the time this album was released the band, on the back of their performance at Live Aid in 1985 and their previous album, 1984’s The Unforgettable Fire, had gone stratospheric becoming the biggest act in the world at that time. And with the Joshua Tree U2 became stadium filling rock royalty, which may be the point at which U2, and in particular Bono, became less ‘respected’ perhaps not as artists but certainly in relation to ego’s. But this isn’t to take away from the brilliance of this album. The band had been spending much more time in the USA having toured each year of the 1980’s, and this influence found its way into the album with the themes of the bands antipathy to the commercialised reality of America as opposed to, and which had coloured their idealised view of a mythical America of bluesmen, rock ‘n’ rollers and the big skies of American folklore and the culture that they’d been exposed to growing up in Ireland. And much like their Irish forefathers who’d emigrated to the States looking for a better world, what they found wasn’t necessarily what they had been looking for. Returning to production duties Danial Lanois and Brian Eno facilitated this move into that more Americanised sound whilst lyrically the experiences of Bono in Central America and, through his increased involvement in the Live Aid organisation, Africa began to seep into the consciousness; whilst still a band with a political message with this album they become more outward and worldly looking as opposed to perhaps the insular Irish view that they had in their first three albums. 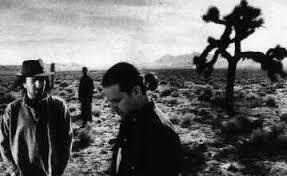 The Joshua Tree certainly showed an increased maturity that really propelled the band to the heights they reached. Firstly that I feel it adds weight to my oft proffered argument that most bands have only four or five albums in them, with this album being the great one with all others that follow being an attempt to repeat the formula. That’s not to say that following albums are poor or bad, Achtung Baby is a brilliant album too, but that bands will never reach that height again; for sure U2, whilst still being an important band, have never exceeded The Joshua Tree. Secondly this is the album that set the benchmark, the standard for the adult themed but radio friendly album. The one created as an album first and foremost but which still had songs that could stand alone and more than hold themselves in the pop music charts. An album that appealed to the serious album listener or the teenage pop rock single buyer. It was an album in which you can see influences through out the 1990’s and into the 21st century for bands such as The Manic Street Preachers, The Foo Fighters and Oasis. And for these reasons The Joshua Tree deserves its place in the echelons of the great rock albums. I find little to argue with here. I feel this is their high-water mark, myself, but enjoy most albums after this, including even the most recent. There’s always a track or three that get me going. Absolutely Scott, totally agree. But when you’ve created something this great there is no surprise subsequent works don’t reach the same heights although Achtung Baby came close for me. AB did come close, but for me, it felt a little too…modern?… in their sound. I’m not sure if I can explain it right, but something felt *different*. I was also feeling left behind, in a way. I’d been loyal to them, pounding the pavement since the first album, dragging people to see them live. You know that sense of ownership fans get for their bands… I saw them probably eight times over the course of the first three albums, from a club with about 75 people, until they were in arenas at the end of the War tour. That being said, Mysterious Ways remains a top-five song of theirs for me. I love Joshua Tree and stayed up to midnight to buy it on the day of release, also I managed to catch them twice on the original tour for that album. These gigs that will always live on as highlights in my memory (Wembley Arena warm-up and Wembley Stadium). I recently bought the updated version of the album with the accompanying live CD … which is amazing. 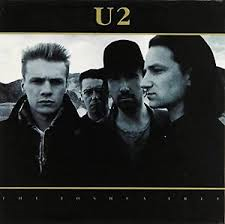 For me though, U2 fell off a cliff after this album. Whilst I enjoyed Achtung Baby, Rattle and Hum and All That You Can’t Leave Behind, they stopped being an angry rock band and became something much more commercial and lighter. I have all the albums since and enjoy bits of all of them, I have all the live DVD’s which I love. For me U2 had a period stretching from War, Unforgettable Fire and the live Under A Blood Red Sky followed by Joshua Tree – where they could do now wrong, it was all simply amazing. Joshua Tree for me ranks as one of the best albums of all time (along with Dark Side of the Moon, Night of the Opera, etc), no fillers and it is always my first choice when it comes to putting on a U2 CD.